Charles Borromeo was the son of Count Gilbert Borromeo and Margaret Medici, sister of Pope Pius IV. He was born at the family castle of Arona on Lake Maggiore, Italy on October 2, 1538. He received the clerical tonsure when he was twelve and was sent to the Benedictine abbey of Saints Gratian and Felinus at Arona for his education. 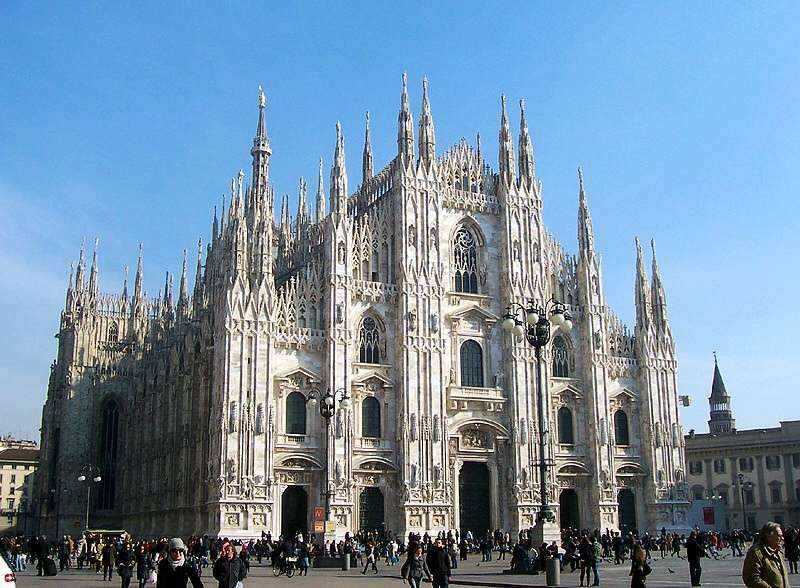 In 1559 his uncle was elected Pope Pius IV and the following year, named him his Secretary of State and created him a cardinal and administrator of the See of Milan. He served as Pius’ legate on numerous diplomatic missions and in 1562, was instrumental in having Pius reconvene the Council of Trent, which had been suspended in 1552. Charles played a leading role in guiding and in fashioning the decrees of the third and last group of sessions. 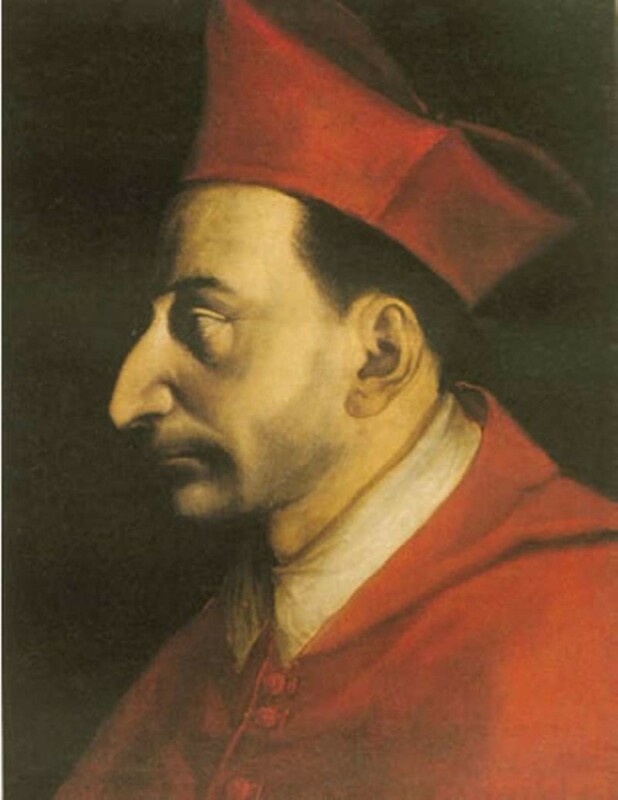 He refused the headship of the Borromeo family on the death of Count Frederick Borromeo, was ordained a priest in 1563, and was consecrated bishop of Milan the same year. 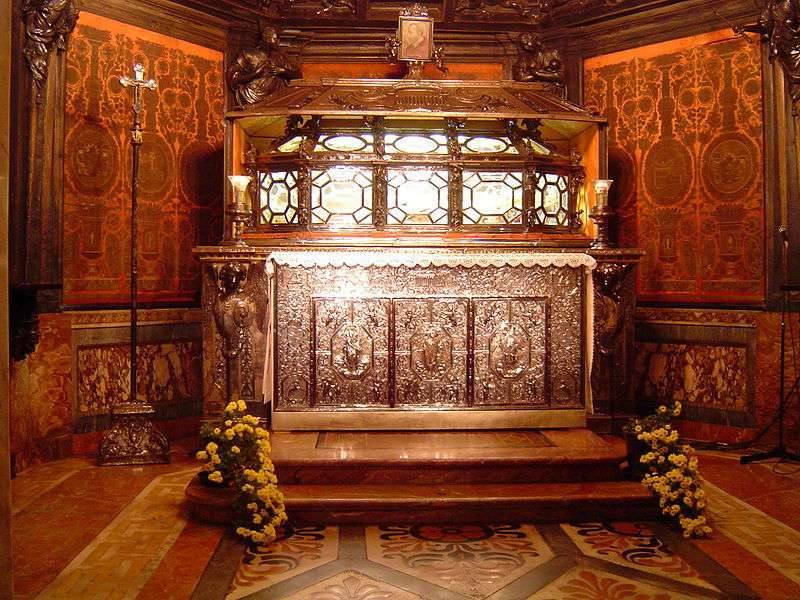 Before being allowed to take possession of his see, he oversaw the catechism, missal, and breviary called for by the Council of Trent. When he finally did arrive at Trent (which had been without a resident bishop for eighty years) in 1556, he instituted radical reforms despite great opposition, with such effectiveness that it became a model see. 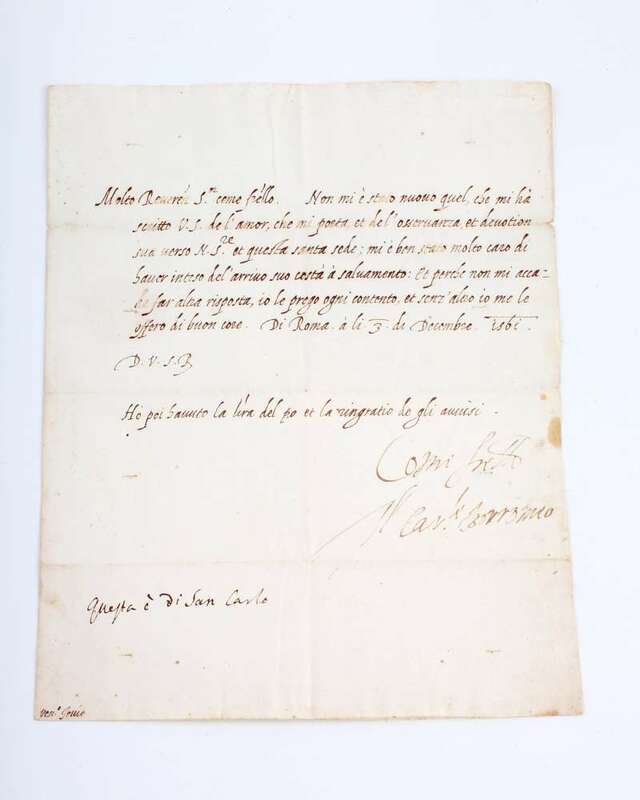 A letter from St. Charles Borromeo Dated December 3, 1561. 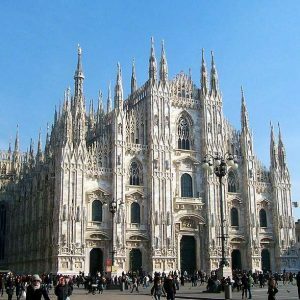 He was the Cardinal/Archbishop of Milan and the most significant person of the Counter-Reformation. Most Lord, Most Honorable ?? It was not news to me what your Lordship wrote about your love for me and your respect and devotion for our Lord of this Holy See. It was very nice to hear of your arrival here safely to see me. And why no (4 illegible words). Answer: I wish you happiness and without any doubt, all the best. 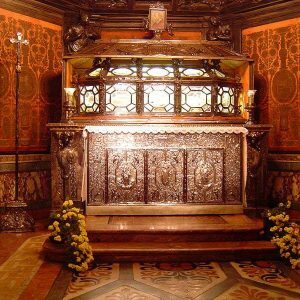 After all I had (4 illegible words) and I thank you for the notices..
Charles Borremeo was canonized November 1st, 1610, by Pope Paul V.
This is one of Father Kunst’s favorite items in the collection. He put into effect, measures to improve the morals and manners of the clergy and laity, raised the effectiveness of the diocesan operation, established seminaries for the education of the clergy, founded a Confraternity of Christian Doctrine for the religious instruction of children and encouraged the Jesuits in his see. He increased the systems to the poor and the needy, was most generous in his help to the English college at Douai, and during his bishopric held eleven diocesan synods and six provincial councils. He founded a society of secular priests, Oblates of St. Ambrose (now Oblates of St. Charles) in 1578, and was active in preaching, resisting the inroads of Protestantism, and bringing back Catholics who had left the Church. He encountered opposition from many sources in his efforts to reform people and institutions. 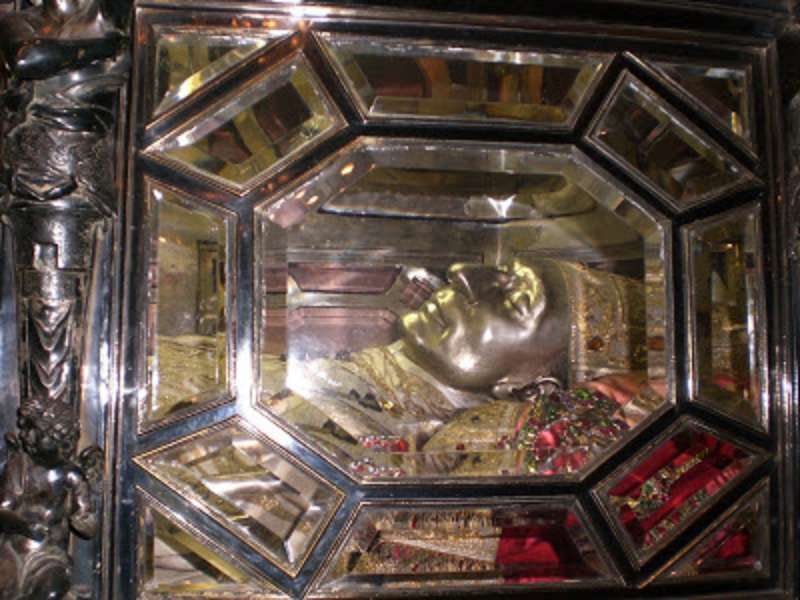 He died at Milan on the night of November 4, and was canonized in 1610. He was one of the towering figures of the Catholic Reformation, a patron of learning and the arts, and though he achieved a position of great power, he used it with humility, personal sanctity, and unselfishness to reform the Church of the evils and abuses so prevalent among the clergy and the nobles of the times. 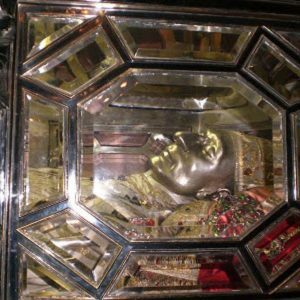 His feast day is November 4th. Papal Artifacts gratefully acknowledges the contribution of www.catholicsonline.com for their biographical information about St. Charles Borromeo.